Please note that some of the events listed below are provisional. If in doubt please contact the secretary to confirm the arrangements. Most events are 'pay on the door', but to ensure you are not disappointed, please contact the secretary. 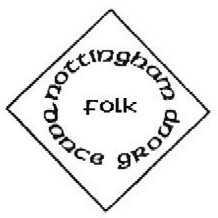 We have a break for tea/coffee or soft drinks during the Woodborough dances. We serve good quality biscuits too! Please note that there may be some photographs and/or videos taken during these events. This will be in accordance with our photography policy. Please let the door staff know if you do not want to be included in any photographs. No reason needs to be given and will not be requested. The video below is from a folk festival but gives an idea of how good they will be to dance to! If for some reason you would like to reminisce about dances we have held in the past you will find the details preserved here for posterity.